Edward Julius Detmold: The Jungle Book by Rudyard Kipling illustrated by Detmold was published by Macmillan in 1903. There were 16 plates, tipped on to card, loosely inserted in a portfolio. This is one of these plates. The colour printing is superb. 330 x 430mm. This print is without the original cardboard mount. The complete portfolio sells for many thousands of pounds. Category: Miscellaneous. 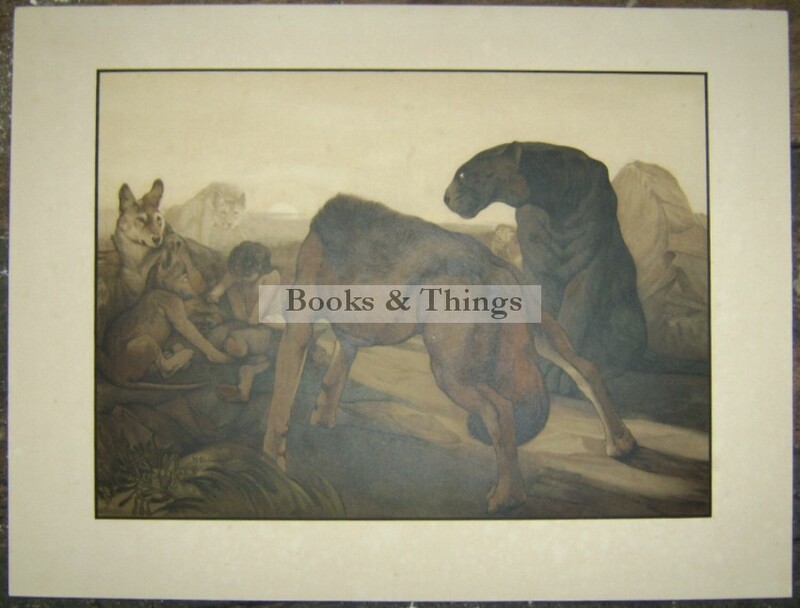 Tag: Edward Julius Detmold print The Jungle Book.